Perimeter drains run over and under residential and commercial properties all over London. Keeping your home up and running means going up against nature at just about every turn, so you need all the help you can get! When a London eavestrough cleaning is a part of your regular maintenance routine, it leaves your drains running smoothly. When you want to keep your system running at full capacity but aren’t sure how to get there, our London gutter cleaning is the answer. Clogs and blockages can form inside your gutter system at any time of year and in just about any circumstance. 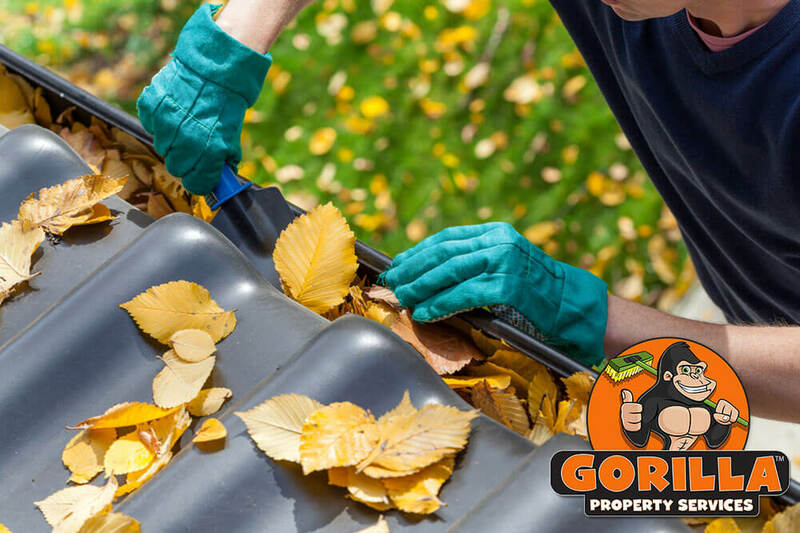 Whether your property is in a rural or urban area, there is no eliminating the buildup of gutter clutter. All manner of organic material becomes dislodged due to weather or changing seasons. As loose debris falls, it inevitably comes in contact with your property. Even items that land on your roof roll down shingling and collect inside gutters. A buildup of debris inside gutters prevent drainage systems from doing what they are meant to do: drain! When water has nowhere to go, it dampens materials, creating thick layers of built up debris. You could end up dealing with rotten organics, insects, rodents and invasive plant growth. All of these issues can be avoided with routine London gutter cleaning. One of the biggest set backs of your London gutter cleaning is the shape and style of the system itself. Covered pipes and downspouts are difficult to clean out. It is in these covered areas that clogs are the most likely to form. If rain, snow melt and moisture cannot pass through the system, it can back up against materials, softening and damaging them. 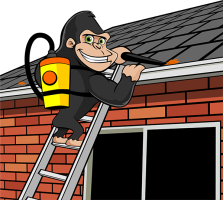 Avoid water stains, damage, leaks, and flooding with one call to a Gorilla! Our maintenance experts use top of the line tools and training to reach every last clog. High-powered vacuums are just one of the tools in our arsenal, used to get the best results for your London eavestrough cleaning.